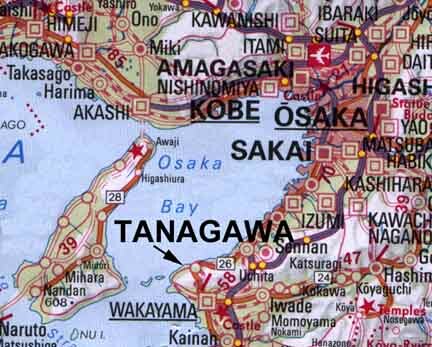 20 Mar 1945: camp closed, POWs known to have been transferred to Fukuoka 11-D and Tok-07-Omi. Laughter in Hell by S. Marek (Out of print) Worth finding. A completely different look at a remarkable experience. All men used to manually tear down a mountain side to build a breakwater for a primitive dry-dock and submarine base. Camp noted for severe malnutrition and excessive death rate. Nagato Maru- Manila to Moji. 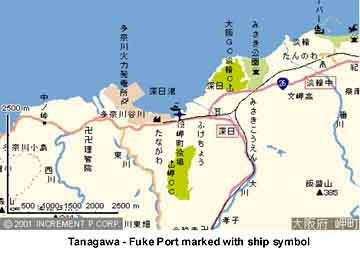 400 of its 1600 POWS arrived at Tanagawa on 27 Nov 1942. Twenty men died en route. Read extract of the murder of Pvt Tyler. Discussion of Camp (with pictures of men) by Japanese interpreter and now a noted POW historian, K. Kobayashi. Time Line: limited based upon two diaries and two memoirs.